Comments: Rosemary takes on different forms depending on where it is grown. 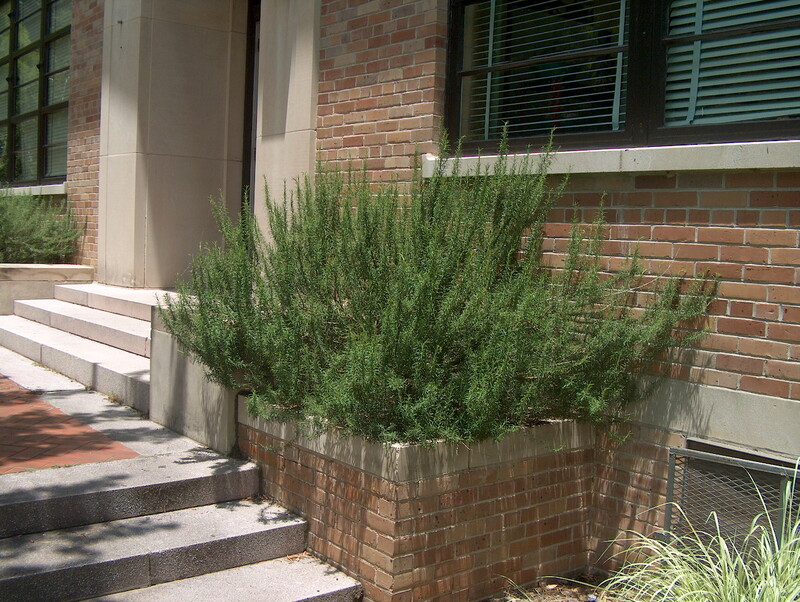 As a stand alone plant it is shrublike, if located in a planter or other raised planting it drapes over the edge as seen in several of the above images. Creamy-white to lavender flowers are quite tiny but can be significant when a plant is covered with them. Very aromatic foliage used in cooking. Provide well drained soil that contains a lot of sand and full sunlight.